lagos—THE Organised Private Sector, OPS, yesterday rejected the newly passed Land Use Charge Law of Lagos State, 2018, vowing to fight the law with every legal means at its disposal. While describing the law which repealed the Land Use Charge Law 2001 as insensitive to business and land owners, OPS speaking through the Nigeria Employers’ Consultative Association, NECA, argued that the new law would expect property owners in Lagos State to pay an increase of over 200 per cent in Land Use Charge even when the income of the property owner had not experienced significant increase to justify the charge. Lagos State Government also extended the period for the payment of all annual Land Use Charge Demand Notices for 2018 to Saturday, 14th April, 2018. The extension is to enable property owners and affected occupiers take the option of enjoying the discounts available for the prompt and early payment of Land Use Charge invoices. Speaking in Lagos, the Director-General of NECA, Mr. Olusegun Oshinowo while commending Governor Akinwunmi Ambode for his good works and making Lagos a model for good governance, he, however, contended that “sensitivity and humanness, which is part of good governance, is missing in the recent amendment of the Land Use Charge law in the state. The new law will expect property owners in Lagos State to pay an increase of over 200 per cent in Land Use Charge even when the income of the property owner has not experienced significant increase to justify the charge. 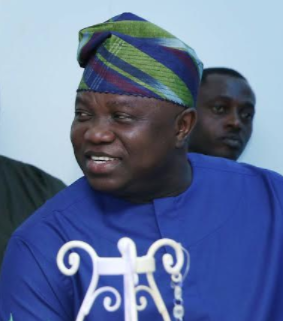 The post OPS rejects Lagos land use charge law appeared first on Vanguard News.